A city east of the Jordan. 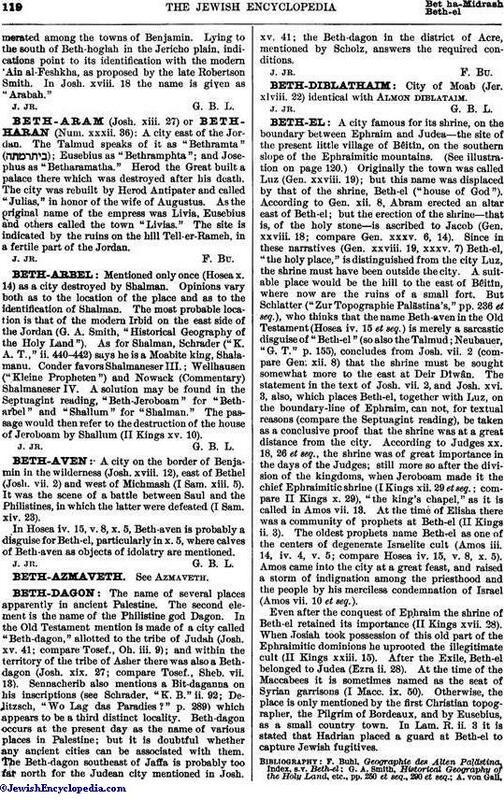 The Talmud speaks of it as "Bethramta" ( ); Eusebius as "Bethramphta"; and Josephus as "Betharamatha." Herod the Great built a palace there which was destroyed after his death. The city was rebuilt by Herod Antipater and called "Julias," in honor of the wife of Augustus. As the original name of the empress was Livia, Eusebius and others called the town "Livias." The site is indicated by the ruins on the hill Tell-er-Rameh, in a fertile part of the Jordan.